The Fed surprised markets on Wednesday with their taper head fake. Was it because the economy is booming? No. 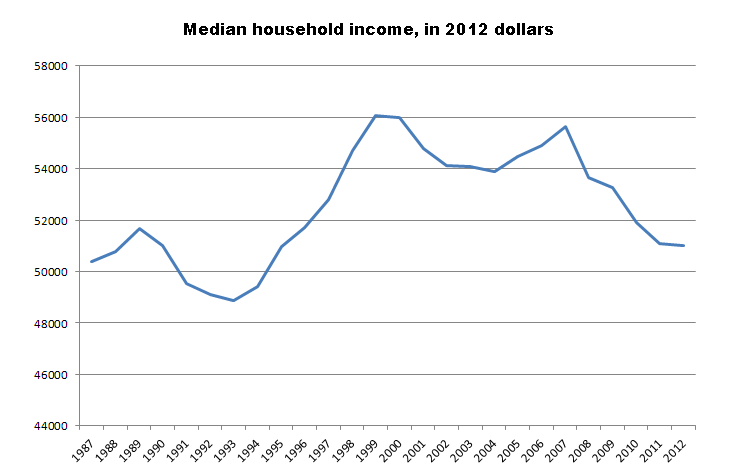 Was it because household incomes were growing? Not exactly. Was it because inflation is non-existent? Not if we look at rents or medical care. In fact, going through the Fed’s statement it is largely holding back on the taper because of fear of budget negotiations in Congress. That is, we are hitting our debt ceiling yet again and the Fed wants some leverage here. 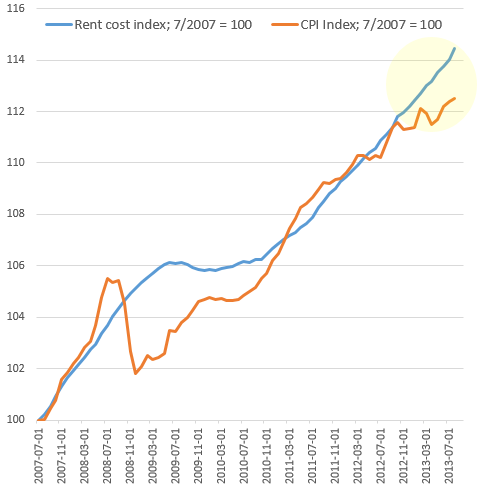 Yet the larger signs all pointed to a taper if we consider that rents are rising at nearly twice the rate of the overall CPI. Also, the Census figures for 2012 were released and household income adjusting for inflation is now back to levels last seen in 1989. Lost decade? Try a lost generation. Also, recent data highlighted that the wealthiest in our country are capturing most of the income gains and given this trend and the Fed’s taper-less September, the feudalism trade is fully on. The Fed is largely playing one big confidence game. The too big to fail are even larger today. Real estate investors are virtually half the market in 2013. Even in expensive California nearly one-third of all home sales are going to investors (in Las Vegas it is closer to 60 percent). There has been a serious disconnect going on since the recovery hit and these kind of divergent data points suggest we are in a mania like mode. Investors are largely chasing yield even on many deals that simply do make sense (i.e., cap rates are simply not panning out in many markets). The Fed taper is merely a magician’s trick. 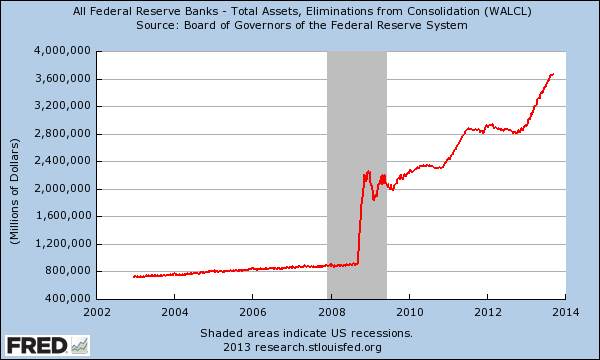 The Fed can’t taper to any large degree. It is an end-game in the mortgage market. The Fed is the housing market. The Fed is largely focused on helping member banks so it is no surprise that banks are doing exceptionally well and many financial institutions are the largest real estate buyers in the current market. For now, the investor trade will continue to play out even if people with common sense realize this is simply one giant shell game and the Fed is on its way to a $4 trillion balance sheet. Doesn’t seen so farfetched that we are entering a modern age of feudalism.